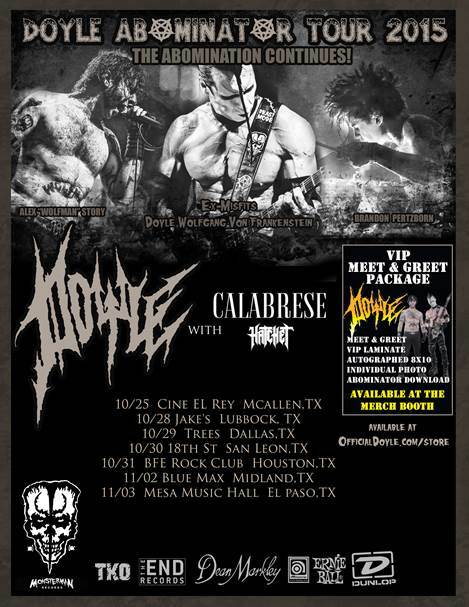 DOYLE (featuring former/original Misfits member DOYLE Wolfgang Von Frankenstein on guitar, Alex Wolfman Story on vocals, and Brandon Pertzborn on drums) will hit the road on the first of three ABOMINATOR TOUR 2015 U.S. runs this September 25th. The tour begins at The Chance in Poughkeepsie, NY and is scheduled to run through December 1, 2015, with dates currently confirmed through November 3rd. Tour support will begin with The Family Ruin and Hatchet through October 20th, and will continue with Calabrese and Hatchet through November 3rd. 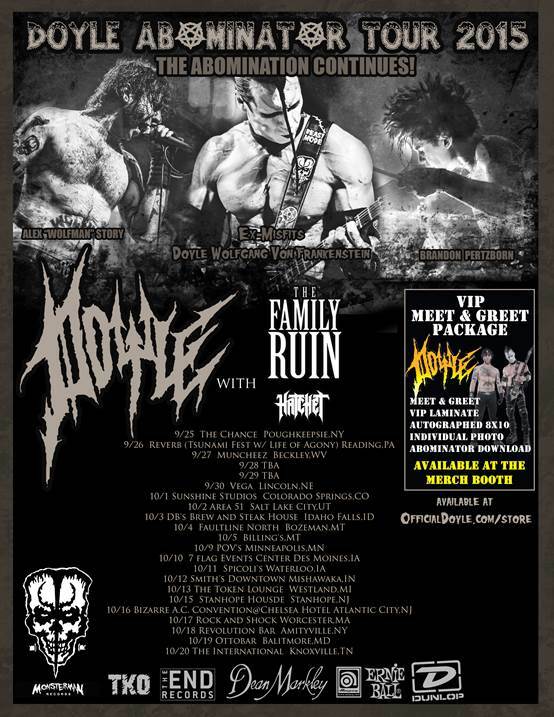 The ABOMINATOR TOUR 2015 will have VIP Meet & Greet packages available via www.OfficialDoyle.com/Store and at the DOYLE merch booth every night! The VIP packages include a special meet & greet with the band, a VIP laminate, autographed 8×10 photo, individual photo, and a download of the Abominator album. See below for a full listing of currently confirmed dates and pick up tickets via www.OfficialDoyle.com. DOYLE’s latest album Abominator was released via Monsterman Records (in partnership with Brain Muscle Media), via INgrooves, the leading global independent music distributor. 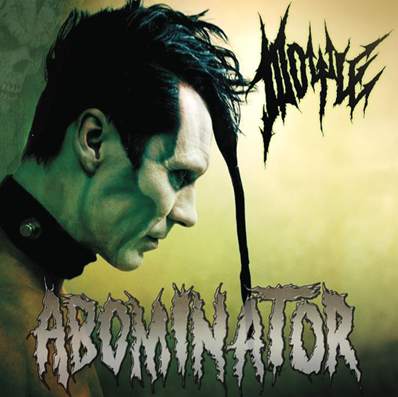 Abominator, which has been hailed by critics as “perhaps the best Misfits-related record in over a decade”, features stories of murder, disembowelment and necrophilia. DOYLE continues to take the horror metal genre to new levels with their combination of epic guitar playing and memorable melodies. Buy Abominator via Amazon here.